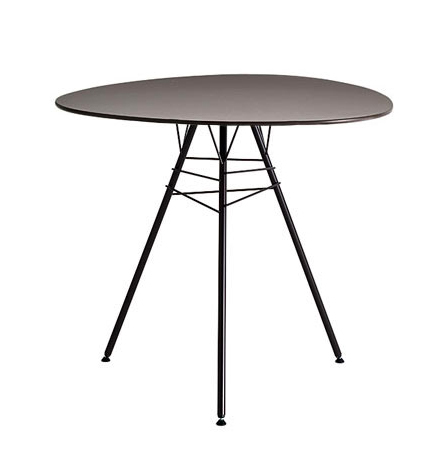 Table with four leg steel base and top made of HPL, available in the round (art. 1812) or triangular with rounded edges (art. 1814) versions. 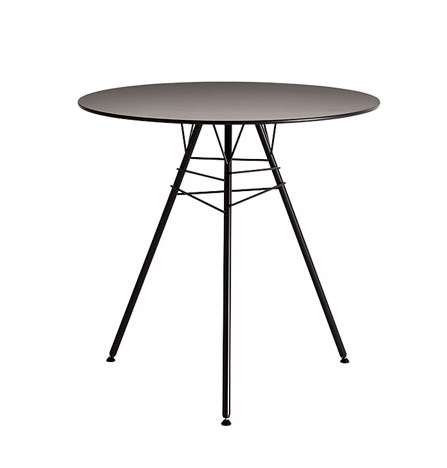 Painted base available in white, moka and green, while top is only available in dark grey. Suitable for outdoor use. Height 74 cm – 29 1/8″. Table top size: Ø 79 cm.